Thiruvanathpuram: Congress president Rahul Gandhi on Saturday (April 06) congratulated Sreedhanya Suresh, the first tribal woman from Kerala to clear the Union Public Service Commission (UPSC) Civil Services Exam. Rahul Gandhi, who earlier this week filed his nominations from Wayanad Lok Sabha Constituency in Kerala for the upcoming Lok Sabha polls, took to Twitter to congratulate Sreedhanya Suresh. “Sreedhanya fought the social backwardness and passed the civil services exam with flying colours. Her achievement will inspire other students in the future,” Vijayan said in his Facebook post. Kerala Chief Minister Pinarayi Vijayan also congratulated other students from the state who cleared the exam. “I am from the most backward district in the state. There are no tribal IAS officers from here even though there is a considerably large tribal population. I hope this will be an inspiration and motivation to the future generations to overcome all hurdles,” Sreedhanya told media. The Union Public Service Commission (UPSC) had on Friday (April 05) declared the final result for civil services examination 2018 on its official website upsc.gov.in. It has recommended a total of 759 candidates (577 men and 182 women) for appointment to various services like IAS, IPS, IFS etc. 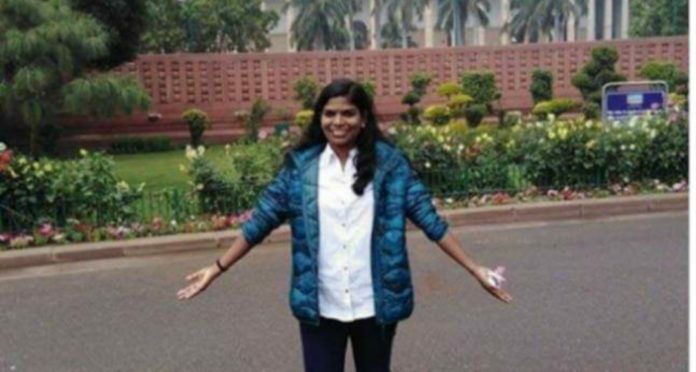 Kanishka Kataria, a BTech from IIT Bombay topped the civil services final examination, while Srushti Jayant Deshmukh is the topper among women candidates securing an overall fifth rank. Previous articleSouth Korea declares national disaster after massive blaze engulfs 5 cities. Next articleTaliban siege in remote Afghan province kills 12 more troops.